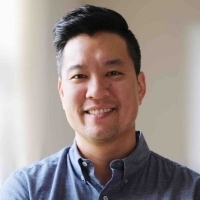 We talk to Rudy Chung from LA-based trailer music company, Pusher Music, about winning last year’s Best Composition in Trailers category and their work as one of the US’s most respected motion picture preview production houses. For those who may not already know of Pusher what is it you do and the services you offer? Pusher is a crew of real artists who are touring, making records, producing artists, and scoring films. We happen to represent them exclusively for the worldwide motion picture advertising industry. We get songs placed in campaigns, and create custom scores, songs, and remixes. Our mission is to disrupt the library model that pervades the industry. Could you tell us what Film Trailers Pusher have supplied music for in the past? Theatrical trailers include Inception, The Town, Wolverine, Star Trek Into Darkness, This Is The End, 47 Ronin, Rush, Transformers Dark of the Moon, Riddick, All Is Lost, 2 Guns, Zero Dark Thirty, Django Unchained, World War Z, Rush, 42, After Earth, Prometheus, G.I. Joe Retaliation, Battleship, The Hunger Games, and The Hunger Games: Catching Fire. What is the role of music and sound in a Film trailer? Our goal on every project is to deliver a signature sound or theme to moniker a project in a meaningful way. Our job is to help generate interest in some amazing films. Our mission is to create an emotional response. In 2013 Pusher won an International Music+Sound Award for Best Original Composition in the Trailers and Promos category with ‘The Hunger Games’, what was involved in that project? We can't disclose too much about the process due to confidentiality agreements, but we worked with Holly Hung, a music supervisor at an agency called Mob Scene. It all happened pretty quickly and the agency and its editors put together a great trailer. It was one of the most painless campaigns we've been involved in, and that's a real testament to Holly and her team. For our non-US readers can you tell us how important the Film trailers industry is to the film making and music supervision business? It's a pleasure to be involved in such a creative industry and landscape. When done right, trailers transcend their task to simply create awareness and become their own art form. It's a hugely collaborative process between filmmakers, studios and producers/editors/music supervisors at the agencies. Their guidance is essential in helping our artists craft the right sound for their trailer. What advice would you give to someone looking to get started in this area of the industry? It starts with the music. Do not emulate others. Write a piece of music for a film or director you are passionate about. Don't write "trailer music"; write music that is moving. When we started Pusher, we had little knowledge of the rules and landscape of the industry, and we feel that has worked to our advantage. Don't listen to libraries, listen to artists and go see their shows. Watch films that are doing brave and different things. Create something new. Surprise yourself. What does winning an International Music+Sound Award mean to Pusher? What entries can we expect from Pusher for this year’s International Awards? On behalf of our artists, we are submitting our trailers for Star Trek: Into Darkness, This Is The End, The Fifth Estate, Pacific Rim, and The Hunger Games: Catching Fire.